A 64-year-old male employee was fatally injured when the stairway he was standing on collapsed 17 feet (5 meters) to the concrete floor below. On the day of the incident, the victim was installing a metal kick plate at the top of a steel bolt-in concrete tread stairway. To install the plate, the victim first removed the lag screws from the stairway landing. These screws secured the top of the stairway frame, or stringers, to the landing. With the assumption that the stringers were secured at the bottom step, the victim began to remove the lag screws. The stairwell was NOT secured at the bottom and once he removed the lag screws at the top the stairs shifted and collapsed, and the victim fell 17 feet to the concrete floor below. 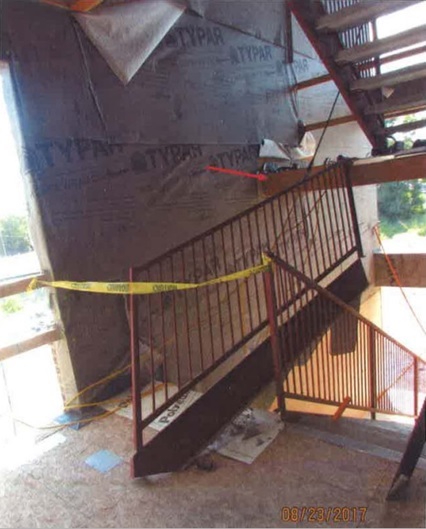 During the inspection and investigation of the incident it was determined that the employer did not inspect or evaluate the stairways before work began to determine if they were safe to use and could support the weight of workers. The employer was cited for failing to have and maintain programs that provided for frequent and regular inspections of the job site, materials, and equipment. Regular inspections could have identified hazards, such as incomplete stairways that were being used by employees. In addition to employer inspection responsibilities, you must take look out for your own safety and get in the habit of checking your work area and equipment for existing or potential hazards. 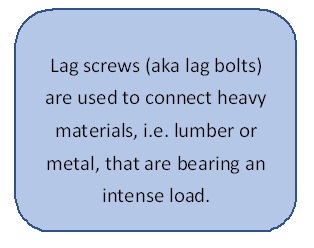 Report hazards and don’t start work until it is safe. Remember, you have a legal right to a safe workplace and to refuse work that is unsafe.